It was a productive day for Gary Strader when he pulled his vehicle up to a remote site in northeast Nevada and found nine coyotes caught in leg hold snares set by the federal government. As was routine, Strader, a former trapper with the U.S. Department of Agriculture, signaled his dogs to attack. His supervisor, who had accompanied him that day, watched and laughed as the dogs circled the coyotes and ripped into them, Strader recalled. “That was regular practice,” said Strader, who in 2009 left Wildlife Services, a little-known program within the USDA. The program is tasked with humanely killing wildlife seen as a threat to the environment and livestock, as well as protecting the public from wildlife hazards to commercial planes at airports. The brutal approach by Wildlife Services is part of a culture of animal cruelty that has long persisted within an agency that uses taxpayer money to wage an unnecessary war on wildlife, according to two U.S. congressmen who have repeatedly called for a thorough investigation. Campbell and Rep. Peter Defazio, D-Ore., penned a letter last November to Agriculture Secretary Thomas Vilsack calling for a complete audit of the “culture” within Wildlife Services – in particular its lethal Predator Control program – by the USDA Office of Inspector General. Vilsack responded in a letter dated Feb. 1, saying an investigation into animal cruelty allegations was under way by the Administrative Investigations and Compliance Branch of the USDA’s Animal and Plant Health Inspection Service. But the lawmakers say several serious questions remain unanswered. “I don’t understand why it should be the responsibility of the federal government to attempt to – very ineffectively and, in fact, probably detrimentally – remove wildlife that has not been implicated in attacks on people and cattle,” said Defazio, who for two decades has championed the defunding of Wildlife Services. Evidence showing animal cruelty has not been difficult to uncover. In October, photos were discovered on the personal Facebook account of Wildlife Services employee Jamie P. Olson. The images showed dogs snarling at and biting into live coyotes trapped in steel foot-holds, as well as pictures of coyote carcasses. The photos were allegedly posted in an album titled “work,” but it remains unclear whether they were taken while Olson was on the job or not. Olson, who works for Wyoming Wildlife Services, is still employed, but the matter is being investigated, according to Carol Bannerman, a spokeswoman for the USDA’s Animal and Plant Health Inspection Service, which oversees Wildlife Services. Wildlife Services declined to make Olson available for comment, citing the ongoing investigation. Bannerman explained that Wildlife Services regularly educates ranchers on various non-lethal methods that can be used to protect livestock – including better fencing, guard dogs and night patrols. To the farm industry, predator control is a critical factor in maintaining the success of the nation’s agriculture. But Campbell and Defazio, as well as various environmental groups, claim the government’s mission is excessive and cruel – and argue it should not be the taxpayers’ responsibility to protect private land and livestock. Strader’s statements, for example, illustrate a particularly dark side of the agency’s killing methods. “They wanted every single coyote killed,” he said. Strader said he was often tasked with hunting for coyote dens while working for the government in remote areas of Utah and Nevada. He described how he would lower his stethoscope into the hole and listen for breathing or whining from the coyote puppies. Then he would drop a phosphorus bomb into the den and cover its opening with dirt. Strader, as well as several others, including a management source within the USDA, also charged that Wildlife Services employees often do not abide by trap-check laws — meaning animals can be left for days in traps where they die from starvation or the elements. Strader claims his job was terminated in 2009 after he alerted supervisors to alleged wrongdoing within the agency. He said his views on trapping animals have changed since he left. 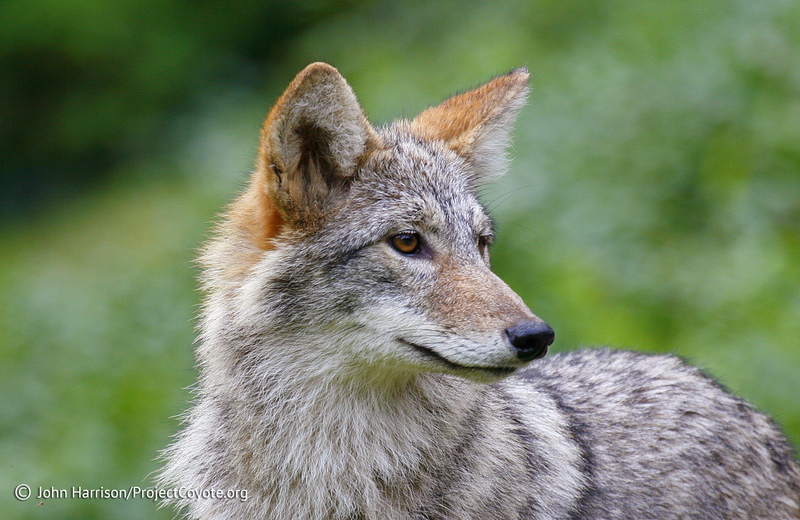 Coyotes primarily feed on small mammals, like rabbits, rodents and squirrels, but they can also prey on larger animals like deer and livestock. Biologists say natural predators, like coyotes, are vital to a healthy ecosystem because they keep other species’ populations down. And the more coyotes that are killed, the more coyotes will reproduce. If a member of the pack is killed, for instance, the alpha female responds by producing more litters. “Not only is this ethically indefensible, it’s ecologically insane,” Camilla Fox, executive director of Project Coyote, said of the killings each year by the predator control program. A culture of cruelty has existed within the agency for decades, according to critics. Rex Shaddox, a Texas law enforcement officer who worked for Wildlife Services in the 1980’s, said he left the agency – which at the time was called Animal Damage Control – after a particularly disturbing occurrence. Shaddox said he and other workers were ordered to report to a city dump in Uvalde, Texas, to witness agency officials experiment with M-44 sodium cyanide on dogs from a local pound that were supposed to be euthanized. See original story at FoxNews. This entry was posted in News Feed and tagged cruelty, DWS, federal wildlife services, John Campbell, Strader, trapping, USDA by mes227. Bookmark the permalink.